Before we start delivering you brand new Animation Invasion interviews, we wanted to share a couple of our favorite interviews from the Nerd For A Living archive. In this episode, we revisit our 2015 conversation with illustrator and animation artist Sarah Marino. 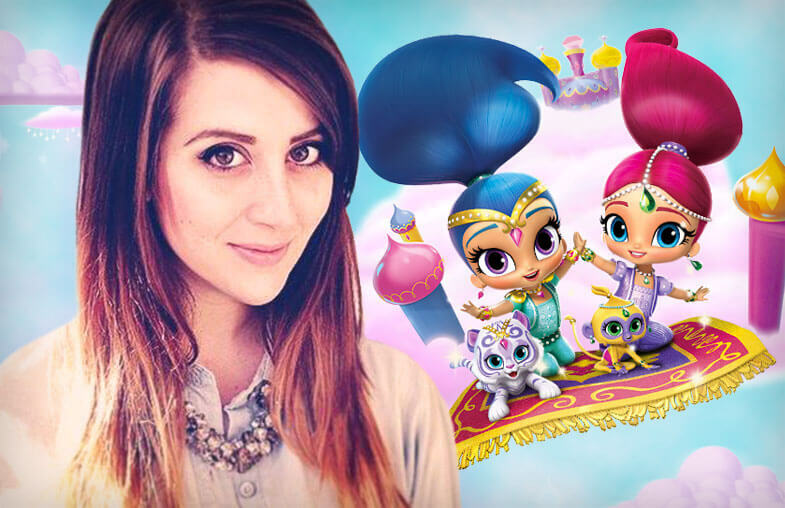 Sarah currently works at Nickelodeon Animation Studios as a color supervisor on the Nick Jr series, Shimmer and Shine. She has also been a character designer and background painter on Shimmer and Shine, which is now in its third season. Before moving to Nickelodeon, Sarah was a visual development artist on the stunning animated feature film The Book of Life, from Reel FX. Sarah’s painted art appears both in the film and a number of the promotional materials and product tie-ins. We talk about Sarah’s education and artistic background, and how she transitioned from an early production coordinator gig into an artistic career. Our producer Wendy Buske joined us for this conversation, and we had a great time chatting with Sarah. She’s delightfully nerdy, an avid cosplayer, and super enthusiastic about the world of animation. In particular, she loves all things magical girl and Sailor Moon related. If you’re an artist trying to figure out how to translate your passion into some kind of career, here’s a great opportunity to learn a lot of different ways artists of many disciplines contribute to film and television animated productions. 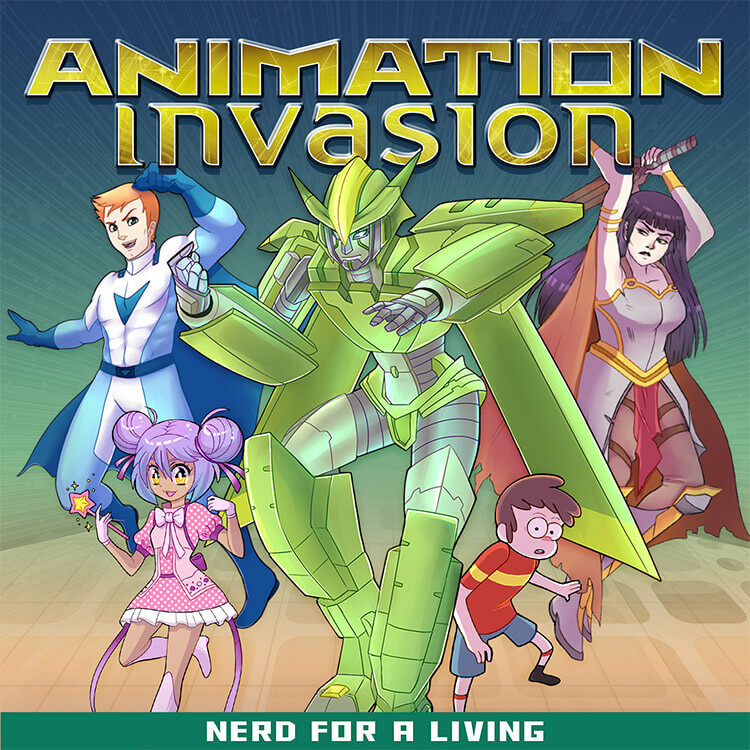 The Animation Invasion podcast examines careers in animated media through interviews with working industry creators. We talk with the people who make your favorite cartoons, films, and anime - including producers, artists, voice actors, writers, and more. Whether you’re trying to develop your career or just love learning about the medium, Animation Invasion gives you access to the knowledge and experience of professionals living the animated life. Hosted by Adron Buske, produced by Wendy Buske, and presented by Nerd For A Living.